Muscle spasms are uncontrollable contractions or spasms of a muscle which cause a sharp pain and hardening of the muscles, making it almost impossible to use. 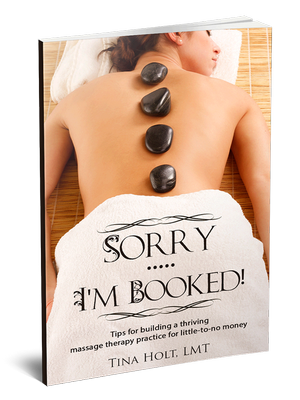 Muscle spasms and the natural healing power of massage!! If not treated, the spasm can produce a knot within the muscle, which eventually becomes a trigger point, or point of referred pain, which may be felt in other areas of the body.. Trigger points are the over-contracted part of the muscle that is very sensitive, and are often the main cause of intense pain. Left untreated, the spasm can cause back pain, neck pain, severe leg cramps, headaches or many other health problems. Muscles can also become very weak after a spasm, and regular use of the muscle may be hindered for a while. One remedy for a muscle spasm is to have a hot bath or shower. Simple stretching exercises will also help. This will improve blood circulation and relax the connective tissue around the muscles. Trigger point therapy, along with dietary changes, helps to decrease the occurrence of spasms. Muscle cramping is mainly due to calcium deficiency, so including calcium in your diet will be helpful. A good source of calcium is dairy products such as yogurt, skim milk and cheese. If you are prone to cramps, it may be because of the acids that interfere with the body’s ability to absorb calcium. Lessen the intake of acidic foods like tomatoes and vinegar. Sometimes spasms occur as a side effect of certain medications or as a result of "muscle-affected" disorders like fibromyalgia, Parkinson's disease, or other neuromuscular or auto-immune diseases. Lack of potassium in your diet is another reason for cramping. Increase your intake of potassium with bananas, potatoes, and apricots. Too much physical exertion also takes its toll on our bodies. Frequent cramping could simply be overexertion. Take 15-minute breaks when you know you will be physically stressed for long periods of time and drink plenty of water. If you get a muscle cramp while you are lying in bed, stretch your leg straight out, and bend your toes towards your head. Hold this position for 20 seconds. Relax for 20 seconds and repeat until the cramp is gone. The highly-rated Sports Massage DVD is a great way to learn how to work muscle cramps, trigger points of the muscles, and muscles that are commonly pulled or painful, with tons of illustrations which show how and where muscle pain originates. For a great homemade massage oil recipe to use, try 1/2 cup extra-virgin oil or almond oil, with eucalyptus essential oil for a wonderful, relaxing scent, and massage that spasm away! If you are prone to spasms, regular massage therapy can increase blood circulation to the effected area, and help eliminate occurrence of spasms.